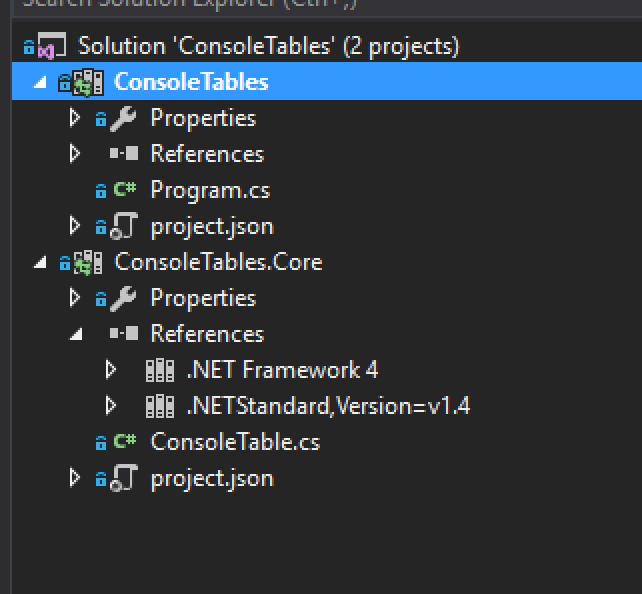 I manage a Nuget package called ConsoleTables, among many others. 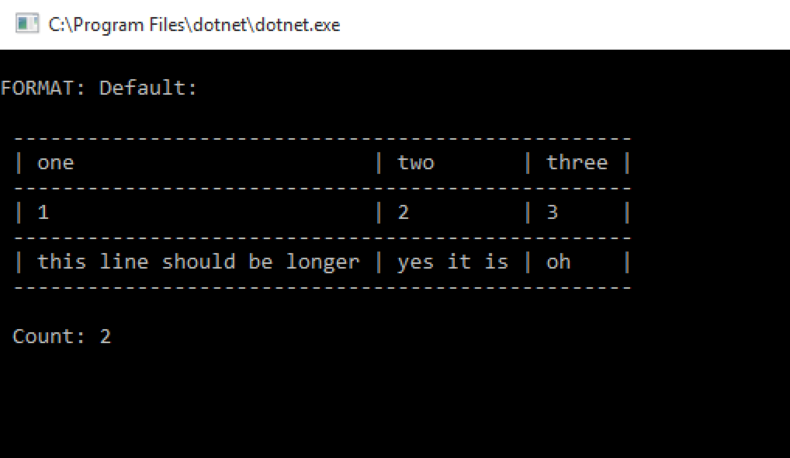 Its primary purpose is to allow you to take C# enumerables and print them out in a lovely table format. Not exactly revolutionary and the implementation is simple. For those specific reasons, I thought I would attempt to port it to .NET Core. This post documents what I did to port a traditional .NET solution to a new .NET Core solution. Before starting the porting process, I advise running the portability analyzer extension. I ran into a few modifications around using Array. Realize that this optimization is worth the change. 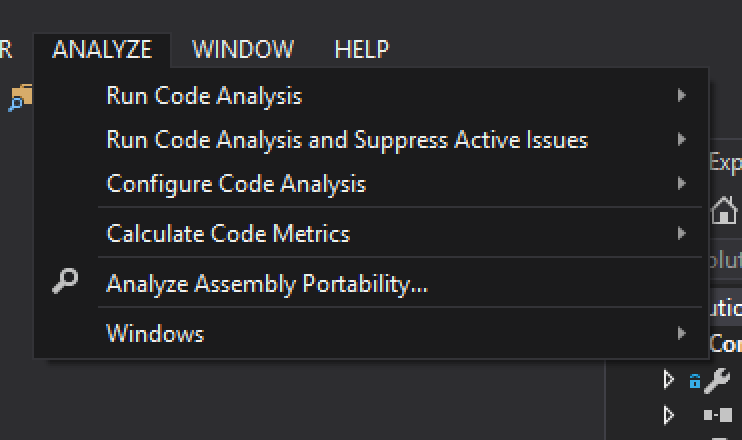 I also found to support .NET 4.0, I had to use compiler directives. The changes were due to the reflection APIs changing in .NET Core. When complete, you should get 100% in the analyzer output. The ConsoleTables solution consists of two projects in a solution. A first started by created a src folder in my project directory. This new src directory is where I will place my new projects. I then started copying my C# files into the new projects. Then, I needed to modify my project.json file to support net40 and netstandard1.4. My solution then looks like this. I prefer managing my Nuget packages using the nuspec file. I find it easier to add more information to the package, so I just needed to tell my existing nuspec definition file about the new .NET core version of ConsoleTables. When I open Nuget Package Explorer, I see this. I published the new Nuget package, and now the fun begins. I created a new .NET Core console application and added ConsoleTables to my project.json. Once my package is installed, I just need to add some basic code. with an output that looks very familiar.